OUTPUT & PERFORMANCE: 10-50 A DC output, 1/2 ideal clean cut and 3/4 maximum severance cut under 220/240V. 10-35A DC output, 1/3 ideal clean cut and 2/5 maximum severance cut under 110/120V. SUITABLE CUTTING for Stainless Steel, Alloy Steel, Mild Steel, Copper, Aluminum, etc. Uses non-hazardous compressed air to cut, safe and at low cost. 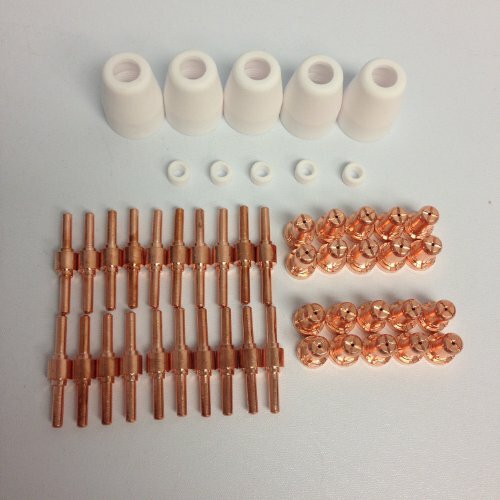 SETUP WITHIN 1 MIN: The pre-installed NPT 1/4 industry type D plug and air filter regulator allows you to quick connect to your air compressor by using the stand coupler existing on your air compressor. The whole machine can be setup quickly within 1 min. DUAL VOLTAGE INPUT: Automatic Dual Voltage / Dual Frequency (110/120 V 220/240 V 50/60Hz). 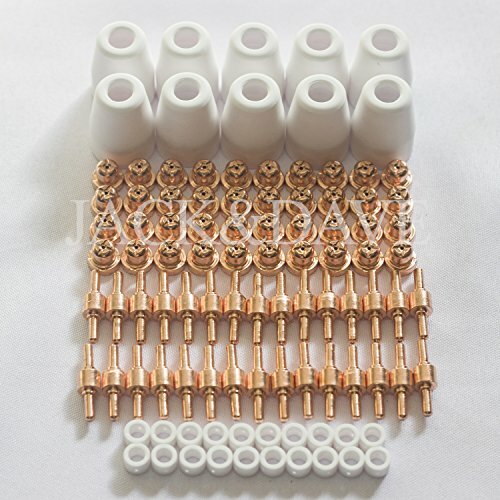 PACKAGE INCLUDES: Power supply, Plasma cutting torch, ground clamp, Pre-installed NPT 1/4 industry type D plug and Air filter regulator, consumables, Instruction Manual, etc. BUY WITH CONFIDENCE: We offer 30 days refund and 1-year , please submit registration form on our website. 2. Region free and easy to use. 3. Can be used in high frequency contact 60A following up of air plasma arc cutting machine series products, high-frequency air plasma is suitable for various brands of 60A following cutting machine. The SG-55 cutting head cutting 18MM thick plate under the current of 60A. 4. The Brand of Machine would be Rilon, Riland, Jasic, Mitech, Chiry, UNT, Krypton, Longetivity, Berlan and so on . 5. These torches for Plasma cutting machines such as CUT-40, CUT-50,CUT-60,CUT-40D,CUT-50D,CUT-60D,LGK-40, CT312,CT312D,CT416,CT416D,CT518, CT518D, Super160, Super160P etc. The Brand of Machine would be Rilon, Riland, Jasic, Mitech, Chiry, UNT, Krypton, Longetivity, Berlan and so on . 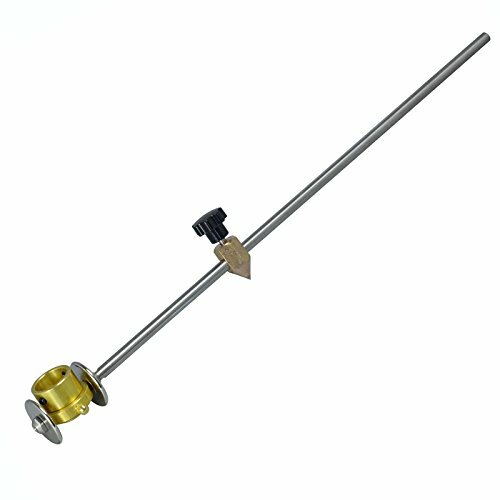 These torches for Plasma cutting machines such as CUT-40, CUT-50,CUT-60,CUT-40D,CUT-50D,CUT-60D,LGK-40, CT312,CT312D,CT416,CT416D,CT518, CT518D, Super160, Super160P etc. 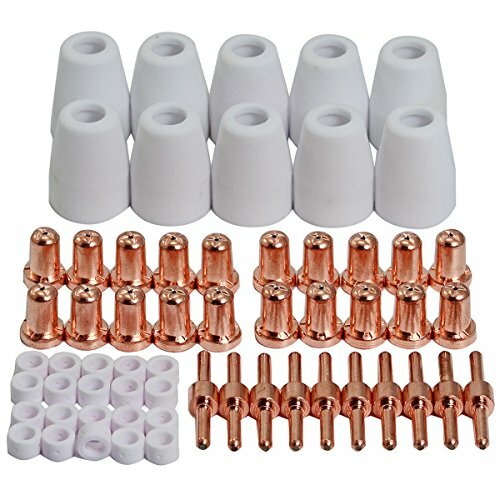 50 PCs of premium quality, plasma cutting torch consumables Fits 30-amp, 40-amp, & 50-amp plasma cutting machines using the PT-31 or LG-40 style torch (listing does not include the torch) Fits STAHLWERK CT312, CUT50, ACDC TIG200 PLASMA, CT520, CT512P with PT-31 Gun. (NOT FOR AG60 Gun) Some of the STAHLWERK machines using the PT-31 & LG-40 torch are: CUT-30xx CUT-40xx CUT-50xx CT-312xx CT-416xx CT-418xx CT-518xx CT-520xx NOTE: DO NOT TO FIT OTHER BRAND CUTTER EVEN IF THE CUTTER'S MODEL SHOWS THE SAME. THIS IS DESIGNED FOR Antra, STAHLWERK BRAND MACHINE ONLY! ! DO NOT FIT PRIMEWELD cutter. Krypton, Longetivity, Berlan and so on . 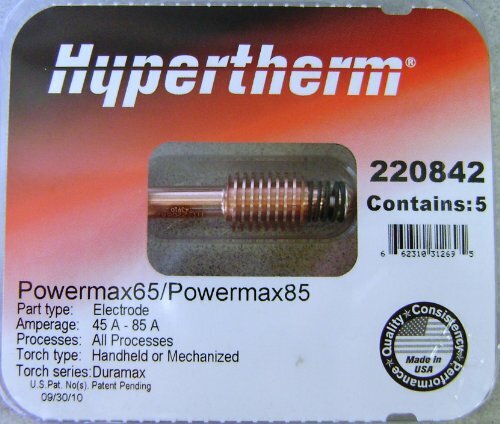 Genuine Hypertherm 220842 Plasma Electrodes for Powermax 65, 85, 105, HRT, HRTs, MRT. 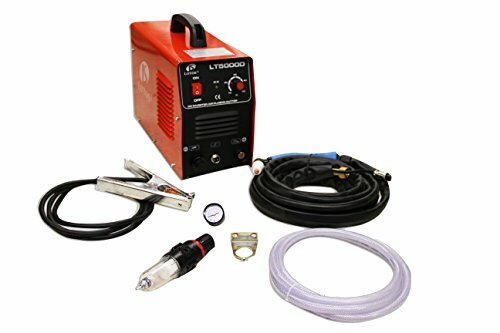 This rugged welding car is ideal for MIG/TIG/ARC welding machines and plasma cutting machines. 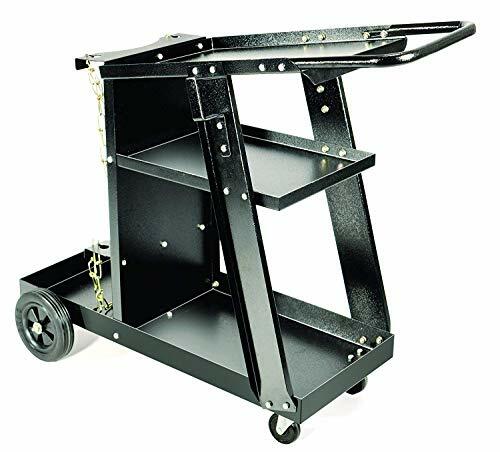 Made of high quality steel, the fully painted cart can withstand rust and wear, and is a powerful welding cart for your long-term use. A rear shelf for placing the gas cylinder is designed and equipped with two safety chains to secure the cylinder in place. 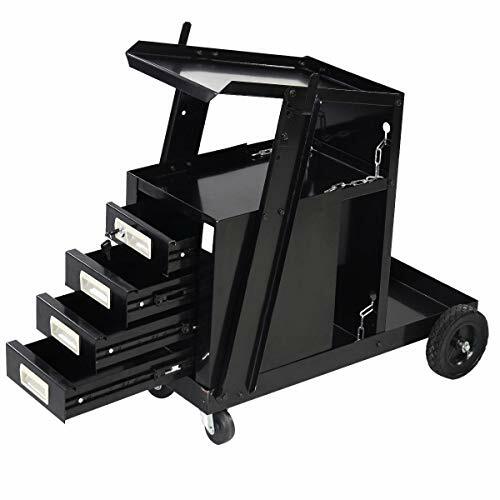 It comes with four sturdy drawers for storing smaller tools. The top drawer can be locked. This welded car can carry a load of 100 pounds. Suitable for home garages and workshops, it is a good assistant when you work. 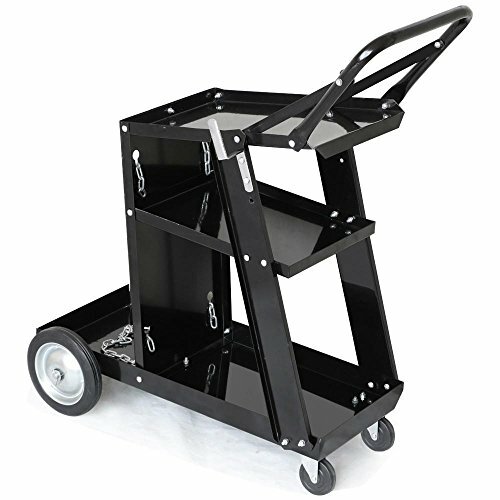 Our welded cart is equipped with 4 wheels, two 2.5 universal wheels and two 6 fixed wheels for easy movement. SPECIFICATIONS: Amico Power CUT-50 is a newly designed with the meter and adjustment attached to the front of the machine and the filter is located inside the machine. The new and improved model makes it more convenient and easier to use. 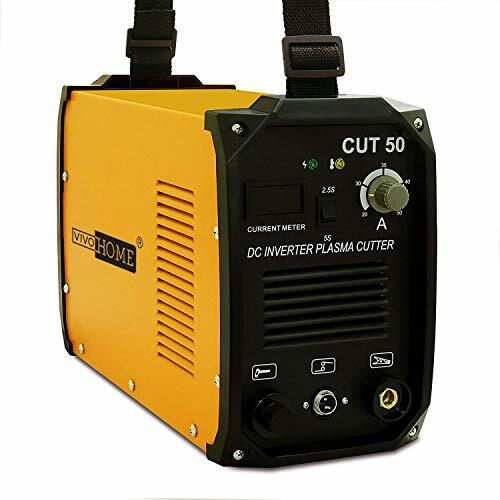 New digitally controlled 15-50 amps Plasma Cutter Machine with advanced inverter technology and high cutting performance. 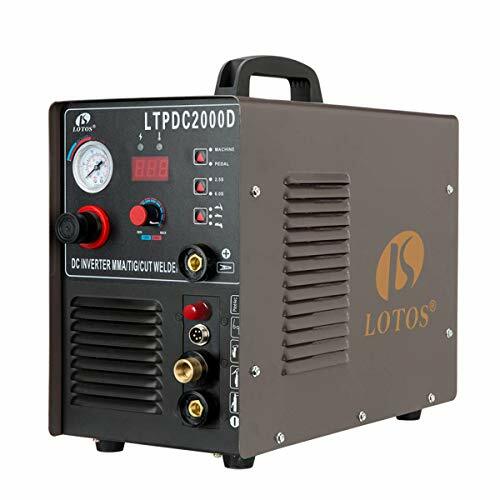 Designed for portable repair work and small business project use, CUT-50 Plasma Cutter cuts a thickness of 3/4 in., and the max severance thickness is 1.0 in., Specifications: Type: DC Air Plasma Cutter, Supply Power: 115V/230V/60Hz/1-Phase, Rated Input Current: AC-115V/33.1A & AC-230V/20.8A, Cutter Current Range: AC-115V at 15-35A & AC-230V at 15-50A, Nominal DC Open Circuit Voltage(OCV): 265V, Output Voltage 104F(40c): 50A/DC-100V, Duty Cycle: 60% at 50A & 100% at 38.7A, Efficiency: 85%, Power factor: 0.93, Output Terminal Type: Direct Wire, Cooling Method: Fan Air Cooled, External Inlet Compressed Air Pressure 3.5bar - 4.0bar, Cutting Thickness(Max. 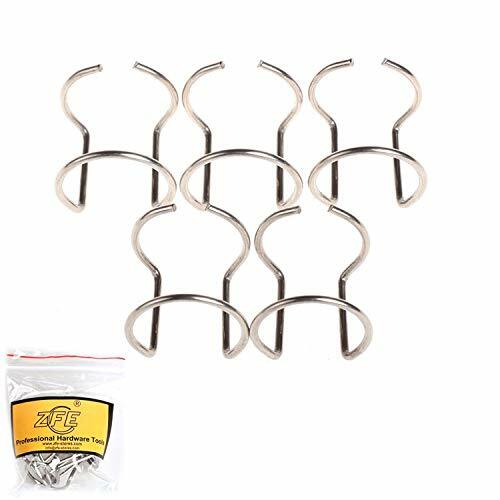 ): Mild Steel-5/8", Stainless Steel-1/2", Aluminum-1/2", Net Weight: 21.56 lbs., Product Size: 17.91 x 7.87 x 13.86 in., Package Weight: 30.36 lbs., Shipping Size: 20.66 x 12.2 x 16.53 in., Package Included: CUT-50 Professional Plasma Cutter Machine, 13 Feet (SG55/AG60) Plasma Cutter Gun Assembly, 11 Feet 630A Work Clamp with Cable, 110V & 230V Power Adapter, Air Filter and Pressure Gage (Installed inside the machine), Instruction Manual. 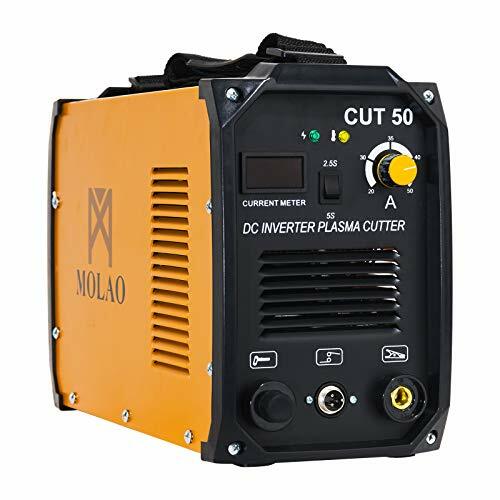 50 Amp Digital Air Inverter Plasma Cutter handles cuts up to 1.0. Designed for both demanding industrial and construction work, or home and hobby use. 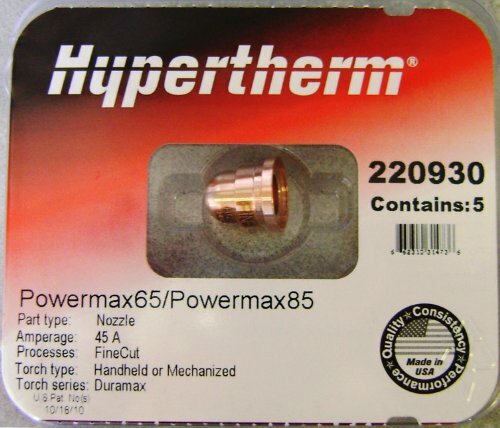 Brand: Amico | Manufacturer: Amico Power Corp.
Hypertherm 220930 Fine Cut Nozzle is specifically designed for Powermax65/Powermax85/Powermax105 hand and machine plasma torches with current rating of 45 A. 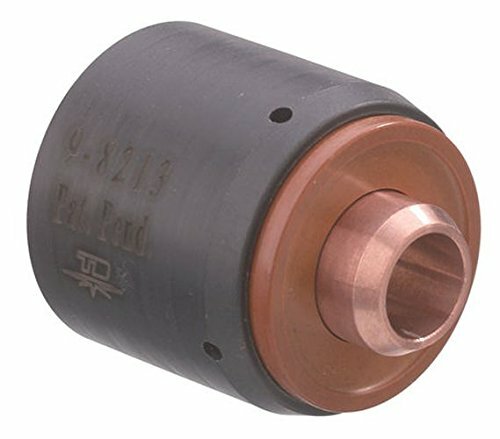 This Thermal Dynamics 9-82113 Replacement Start Cartridge is for SL60 and SL100 plasma 1Torch tools and is suitable for all Cut Master series plasma cutters. This unique design allows the pilot arc to start without moving consumable parts, resulting in better parts life and cut performance. * Production cutting thickness are the results of LOTOS's laboratory testing. Production speeds are approximately 80% of maximum. Air PLASMA CUTTER: SUITABLE CUTTING for Stainless Steel, Alloy Steel, Mild Steel, Copper, Aluminum, etc. Uses non-hazardous compressed air to cut, safe and at low cost. OUTPUT & PERFORMANCE: 10-50 A DC output, 1/2 ideal clean cut and 3/4 maximum severance cut under 220/240V. 10-35A DC output, 1/3 ideal clean cut and 2/5 maximum severance cut under 110/120V. 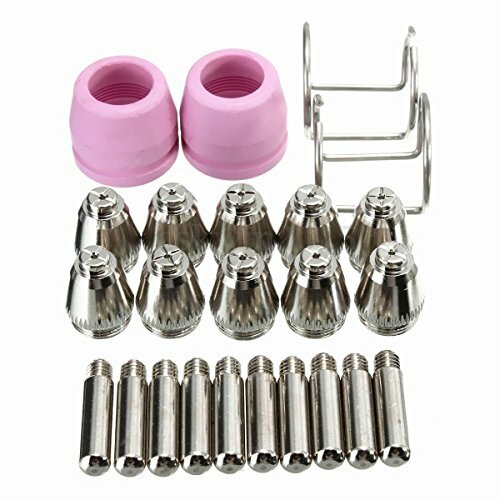 PACKAGE INCLUDES: Power supply, Plasma cutting torch, Tig torch, MMA/Stick clamp, Argon Regulator, Ground clamp, Pre-installed NPT 1/4 industry type D plug and Air filter regulator, Consumables, Instruction Manual, etc. BUY WITH CONFIDENCE: We offer 30 days refund and 1-year warranty, please submit warranty registration form on our website. Make short work of your metal cuts with a high-quality plasma cutter from SUPER DEAL. This plasma cutter has a pilot arc-striking system that allows easy starts and get a clean cut every time without dross or slag. It's like a hot knife through butter. 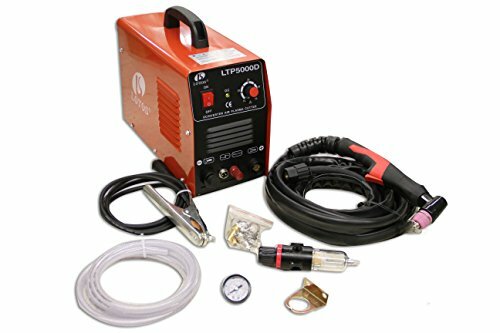 This 240 volt plasma cutter also has a convenient digital display. 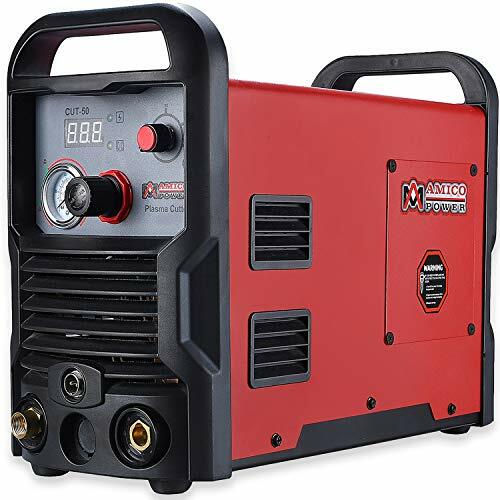 Like all of our tools, our plasma cutters are engineered to provide reliable performance for the home or shop and priced to save you money. Continuous current regulation, high cutting speed and smooth cutting surface makes your work more efficiently. It has a screen display that you can view the data clearly. Perfect for the processing of metal materials machinery. Superior performance SUPER DEAL plasma cutter features PRO technology, more stable performance. High duty cycle result in less power consumption. More economical and effcient than the traditional cutting machine due to the high speed, high temperature and high energy plasma draught. Exquisite workmanship Made of heavy duty iron. Its solid material construction makes it reliable and gives it strength that can be used for a long time. It not only can be used in businesses and DIY users, but also fully accommodating the demands of professional operators. Digital Display DC output Digital LCD Display, Easy Read Front Panel Air-Pressure Guage, save energy and no noise, High cutting speed, Cutting smoothly and no polish demands. Considerable & Safe design Built-in over-heat protection, over-voltage protection, under voltage protection and over heat protection and lack of compressed air pressure protection. Comes with wire and mask, which can prevent you from hurting while using. Wide range of applications Suitable for a wide range of applications including sheet metal fabrication, light industrial use, site work, automotive, ducting work, repair and maintenance services. The cutting machine not only use in businesses and DIY users but also fully accommodating the demands of professional operators. 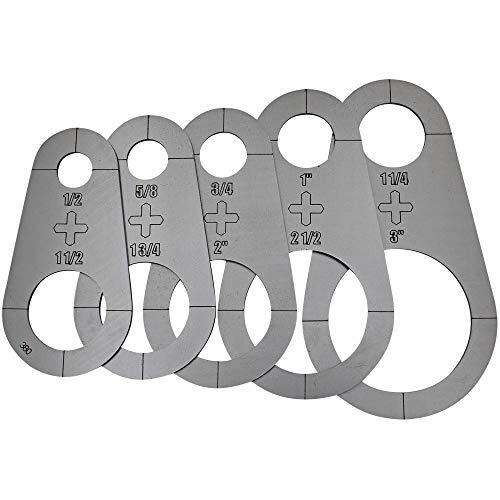 Plasma Stencil - Circle Cutter Guide - 5 pc. Kit - .380"